Remember the Island of Kauai (Kaua’i) of Hawaii featured in two of our posts in 2012 (March 29, March 30) where more than seventy Hollywood movies and TV shows had been filmed ? 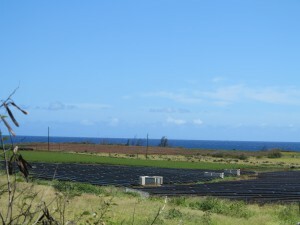 I want to take you to this Garden Isle again not just for its idyllic scenery and laid back pace of life, but to learn from the experience of this island’s utility cooperative, KIUC (Kaua’i Island Utility Cooperative), in integrating solar into their grid. The day we arrived, during our drive to the hotel, I’ve noticed that there had been significant increase in residential and commercial solar PV and solar thermal on the island compared to previous year. Thanks to Jim Kelly, the Communications Manager of KIUC, for introducing us to Mr. Brad Rockwell. Below is an interview with power supply manager, Mr. Brad Rockwell, of KIUC (Kaua’i Island Utility Cooperative). As of March, 2013, the Island of Kaua’i (of Hawaii) is one of the world’s leaders in per capita Solar PV (soon to be the #1 after the completion of its next solar installation project). In the past few years, several important renewable energy projects moved from the planning and permitting stage to construction and installation. Alexander & Baldwin began construction on its 6-megawatt photovoltaic system at Port Allen, coupled with a new 3-megawatt battery storage system installed by KIUC. 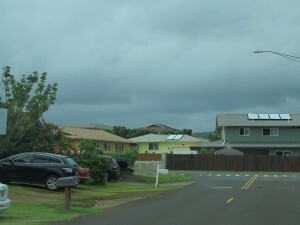 A 1.5-megawatt battery storage system was installed in Koloa to capture power generated by PV systems. In Anahola, KIUC and the Homestead Community Development Corporation were awarded the contract to build Kauai’s largest photovoltaic system, a 12-megawatt photovoltaic project currently under reviewing process and is scheduled to begin this year. Even though during recent decades, Kauai (Kaua’i) had been heavily dependent on fossil fuel for its energy use; record shows that in 2007, 95% of its energy use came from oil and 5% from renewables (no utility scale solar). The beautiful island of Kauai had a history of using biomass and hydropower for its energy consumption. As early as of 1980’s, about 50% of Kauai island’s energy/electricity use was through renewables by burning bagasse (residues of sugar cane). As sugar cane ran out and oil became cheaper, burning fossil fuel/oil became the main source of energy on the island. As the cost of oil becomes more and more expensive, with the plentiful sunshine on this tropical island, and the desire to preserve the island environment as clean and pristine as possible for future generations, incorporating solar energy seems to be the natural choice. There has been significant progress/incorporation made toward renewable/solar energy;currently 85% of energy use on the island is from oil and 15% from renewables. KIUC has a large solar plant under construction by the end of year 2013 and another biomass plant currently under construction. Within two years, KIUC is projecting to be at 60% from oil/40% from renewables level. Specifically for solar, about 2% of KIUC’s current energy supply comes from solar (whereas CA has about 0.3% of its supply from solar). 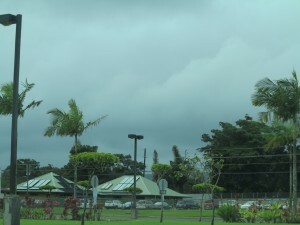 On any given day, about 20-25% of the energy demand at Kauai is met by solar. KIUC has about 14.5-15 MW of solar on the grid right now during normal daytime demand of 60 MW (peak demand is about 72 MW after the sun goes down). In 2015, after completion of the two 12 MW solar plants, KIUC will be expecting to meet more than 50% of its energy daytime load (any day) by solar. 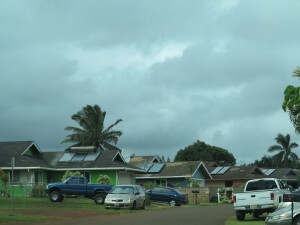 There had been dramatically more solar installations (residential and commercial) on Kauai island in recent years because of the incentives from Federal Tax Credit (residential/commercial) of 30% of the total expenses, State Tax Credit for solar thermal system (lesser of 35% of overall costs or $2250, $350/unit, $250,000 depending on if it is single family residency/multi-family residency/commercial), and solar water heating loan and rebate program with KIUC (teamed up with Kauai Community Federal Credit Union and Kauai County Housing Agency offering a 0% interest loan, repayment on a 60 monthly payback schedule). 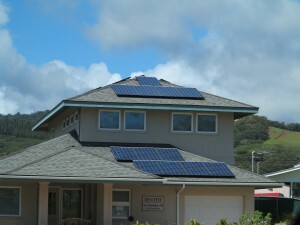 More detailed information on various incentives available to Kauai island or Hawaii may be found at: http://www.dasolar.com/energytaxcredit-rebates-grants/hawaii The capping on state tax credit is around $5000 per system, with 5 KW as the defining cap (2 systems with one being 2 KW and another being 3 KW is defined as one system) per system to avoid confusion. Lastly, I also found out about the Schedule Q (equivalent of the FIT (Feed-In-Tariff)) available to any energy producer at Kauai in selling excess energy to KIUC. On the large-scale, utility side, the initial motive force driving KIUC into action in developing the first utility scale solar project was due to Section 1603, Tax Grant at the federal level (http://www.treasury.gov/initiatives/recovery/Pages/1603.aspx), qualifying for the Safe Harbor provision where 5% of the project value had to be spent by end of 2011. Second concern is regarding the ramp rates: for example, a Puerto Rico utility with 0.5 MW per minute movement limit would translate into requiring solar developer to have the appropriately sized battery storage capacity to meet that ramp rate. KIUC, with 60 MW demand during the day, has been able to handle 8-9 MW per minute without significant impact on frequency. For a closer look at KIUC’s “On the Road to Renewables” 2011 Annual Report (<-click). With the quadrupled cost of oil and the fact that KIUC is a cooperative welcoming renewables, in addition to federal and state incentives and Schedule Q (equivalent of Feed-In-Tariff), these are all reasons driving residents and KIUC toward the renewable/solar energy. We will look forward to 2015, the day when KIUC will be meeting 50% of its day time energy demand via solar, and to 2023 when KIUC will be meeting 50% of all of its energy demand via solar. 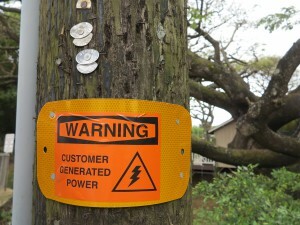 Residents at Kauai are fortunate to have such a wonderful utility cooperative looking out for their interest. Let the sun shine upon this beautiful garden isle, forever be benefiting from trade wind and remaining pristine, free from pollution….